WELCOME TO HOUSE OF LAWOF: Stephaine Coker @ BAAD 2017. Stephaine Coker @ BAAD 2017. Stephanie Coker- Aderinokun is a lady to watch out for on the fashion scene. 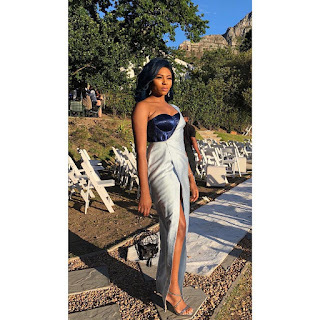 Her outfits for Banky W and Adesuwa's wedding were quite stylish and classy. More pictures after the cut. Trend Alert: All white native attires. HOT NEW PICTURES FROM BAAD 2017.